Unfortunately our group doesn't have an own proper scout hut, as our group is part of an school afternoon program. So we don't have any rooms which would be suitable for a overnight stay. 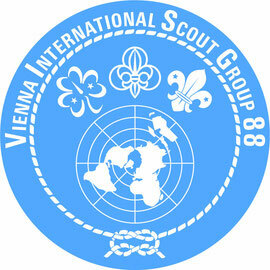 But maybe you can find help here, at the headquarter of the Viennese scouting organzation: http://www.wpp.at ... just drop them a mail to office@wpp.at and they will be forwarding it to all ~ 66 groups in Vienna and I'm sure you will get helpful options! The office is opend on tuesdays, so I think you'll get a response in the middle of next week.